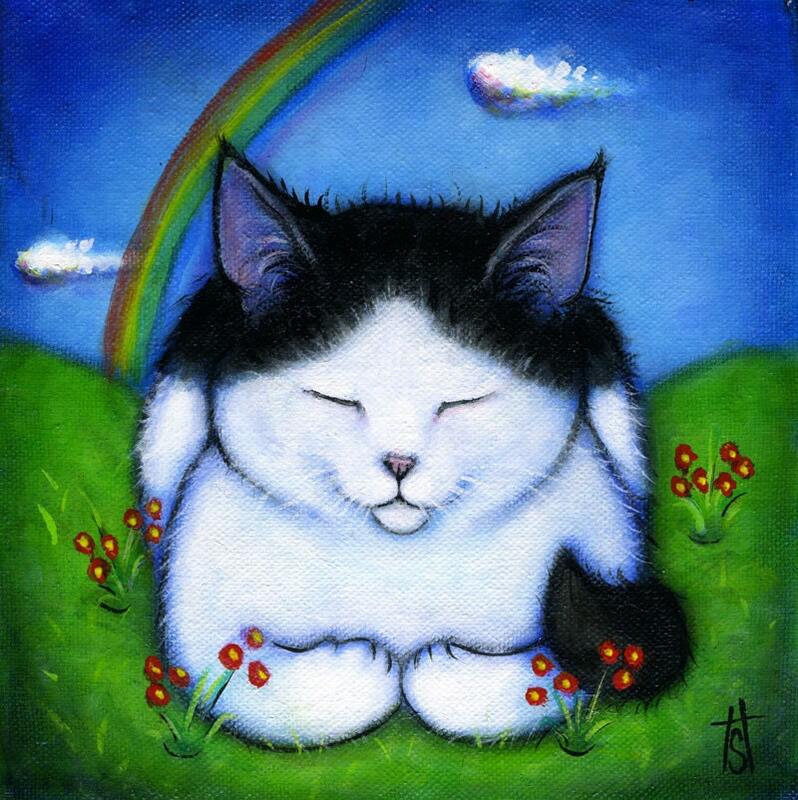 Like all animal lovers, some of my dearest friends reside at Rainbow Bridge. This is Hattie. This reproduction is printed with vivid Canon inks on Red River heavy 60lb acid-free 8 x 10 paper which has a soft enhanced matte finish, and includes a white border around the image. The image itself is approximately 6.8 inches square. It's signed by me in ink under the image, on the white border.